Around the turn of the 20th century, postcards were the e-mail, Twitter, Flickr, and Facebook of the time, as a postcard craze swept the globe. 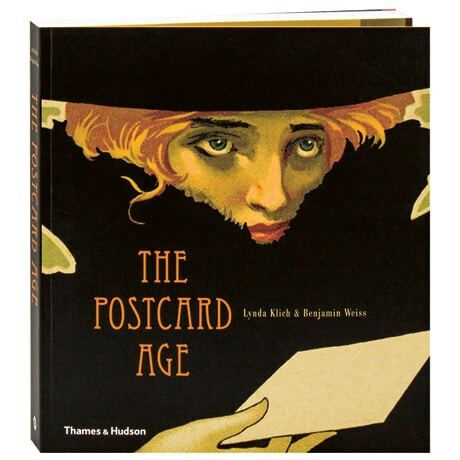 Sampling one of the finest and most comprehensive postcard collections anywhere, amassed by Estée Lauder heir Leonard Lauder, this gorgeously illustrated catalogue traces how the grand historical and cultural themes of the modern era played out on the postcard's tiny canvas. Taken together, the nearly 400 examples here provide a vivid picture of the concerns, trends, and pastimes of a hundred years ago, as well as a sampler of the artistic and historical riches offered by these modern-age messengers.